The Internet Names Derby Ring Road "Lara Croft Way"
Thanks to the power of the internet, the new ring road in the U.K. city of Derby has officially been named Lara Croft Way. You might recall that back in July of last year, the Derby City Council went to the public for help in naming two sections of the city's inner ring road that had just been built. A list of over 100 suggestions was eventually whittled down to eight contenders, but then the council made a big mistake: It took the voting online and opened it to everyone. Once word got out, it didn't take long for gamers around the world to flex their collective online muscle. 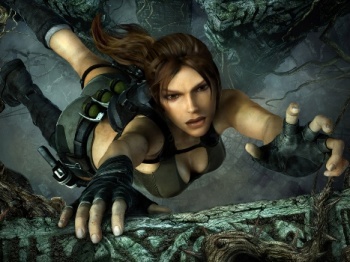 Despite numerous other options with a more traditional ring, 89 percent of the nearly 28,000 votes cast were for Lara Croft Way, named after the famous videogame heroine who was created by Derby-based studio Core Design. Sounding rather resigned about the whole thing, Councilor Lucy Care said, "The vote really captured the imagination of people from across the world and, despite my lack of gaming knowledge, I accept that a majority of 89 percent for Lara Croft is too overwhelming to ignore! She was created in Derby and deserves stand alongside some of the more traditional icons of the city." Core Design, unfortunately, no longer stands in Derby or anywhere else; the studio was bought out by Rebellion in 2006 and, as Rebellion Derby, is reportedly being considered for closure.